The holiday season is about so many things for different individuals based on culture, beliefs, and family traditions. But regardless of these many variations it tends to be a season with deep roots in the act of meaning making. Of course there is the original meaning that was made behind the multitude of holiday celebrations relating to miraculous events that inspired meaning making to continue for generations. Today, we can find meaning making in thoughtful gift giving, in spiritual and religious ritual, in spending time with family and friends, in charitable donations of our time and/or money etc. That said, all of the meanings that infuse this season with such magic can also become easily lost this time of year. Dr. Viktor Frankl, was a man who knew all about how to find meaning. He was a brilliant psychologist who survived the Nazi concentration camps during World War II. In his most famous book, he describes the different reactions he witnessed in his peers and in himself during this period and presents the origins for what he coined as, Logotherapy. Logotherapy essentially highlights the importance of each individual having a sense of meaning and purpose in life to withstand suffering and to maximize value. 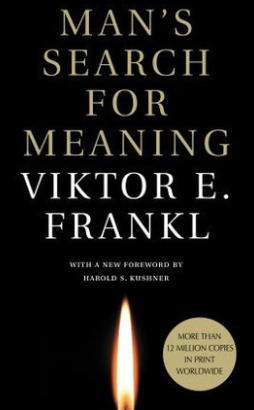 The core human needs for meaning and purpose that Frankl highlights in Logotherapy, have become foundational to so many different therapeutic approaches. Frankl concluded that even in the midst of arguably some of the most atrocious human suffering in history, there was meaning to be found and even more shockingly, freedom. He highlights the value of freedom and the need to locate choice even in circumstances where it may seem to elude us. But it is not merely the having of freedom that he feels brings meaning, but the application of it.